An updated edition! Includes all previously released DLC and improved HD graphics and a lighting system. Heroes Dead Island - tourists who had to face the reanimated corpses on vacation on a tropical resort The Royal Palms Resort in Papua - New Guinea. Players will learn the cause of infection and quickly escape from a dangerous island for their lives. Unlike the heroes of the Left 4 Dead 2, caught in a similar situation in Dead Island to fight the zombies have all the means at hand: pipes, brooms, baseball bats, machetes. Get hold of firearms and ammunition will not be easy. • In Dead Island you have to go through the horror of the invasion of zombies, driving a hero from the first person. • Co-op mode Dead Island, for up to 4 players. • Ability to repair, modify and create weapons from scrap materials. 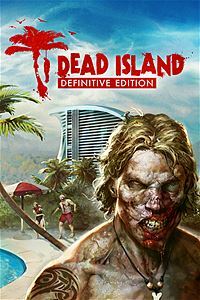 • Dead Island action takes place on a resort island in the open air. Exploring the world is not limited to the scenario game. • Ability to develop a character of its own. • In Dead Island you can expect a Horde of terrifying zombies. This product is intended for distribution in territory of Russia and CIS countries. We are not responsible for the use of goods outside the CIS. •After that, the game will appear in the list, and you can download Saints Row IV.